A pack of three Diesel boxer shorts. The ‘Damien’ boxer briefs are crafted from a soft cotton blend with a comfortable stretch construction. A plain black and plain red pair is included along with a black and white star print. 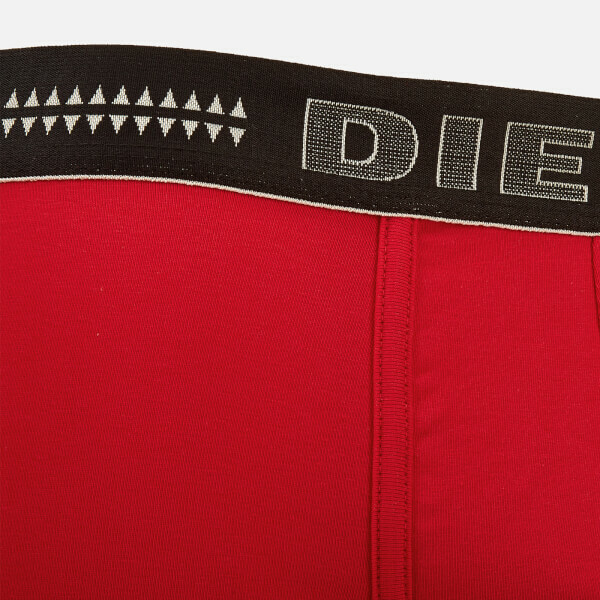 The Diesel signature is embroidered on the elasticated waistband.